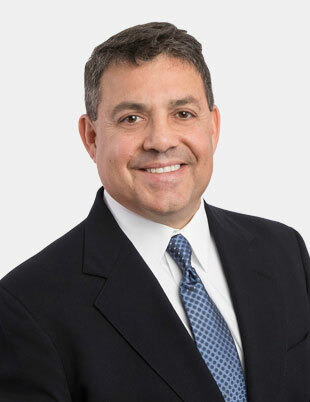 Joseph Perito joined RAA as a Financial Consultant in 2018. He is also a pilot for American Airlines, as well as a Certified Financial Planner (CFP) ® and an Accredited Investment Fiduciary (AIF)®. He has an extensive academic background in the financial services industry with an undergraduate degree in Finance from Boston College, an MBA from the University of Maryland, and the Series 66 license. Prior to joining RAA, Joe worked for a large Broker/Dealer in the Chicago area, as well as a Registered Investment Advisor based in the Los Angeles area. In these roles, Joe served his clients with portfolio construction while also being responsible for business development. Joe served in the U.S. Marine Corps for many years including the Gulf War of 1991, and Operation Iraqi Freedom in 2006. He also flew combat missions over Bosnia for a total of 13 months in 1995 and 1997. Joe held a senior position at the Pentagon after the September 11, 2001 terrorist attacks. He attained the rank of Colonel before retiring from the Marine Corps Reserve. From 2016-2018, Joe served the pilots of American Airlines as Allied Pilots Association (APA) Deputy Chairman of the Benefits Sub-Committee and as a member of the Defined Contribution Sub-Committee. Joe brings a high level of passion and client focus to the RAA team and will leave no stone unturned in pursuit of financial and retirement planning solutions for our clients.